I am of the opinion that most folks reading this need to be part of the local CERT team. It gets you relatively inexpensive training, networking, opportunity for additional training through networking, and legitimacy (if you are a prepper or militia group). 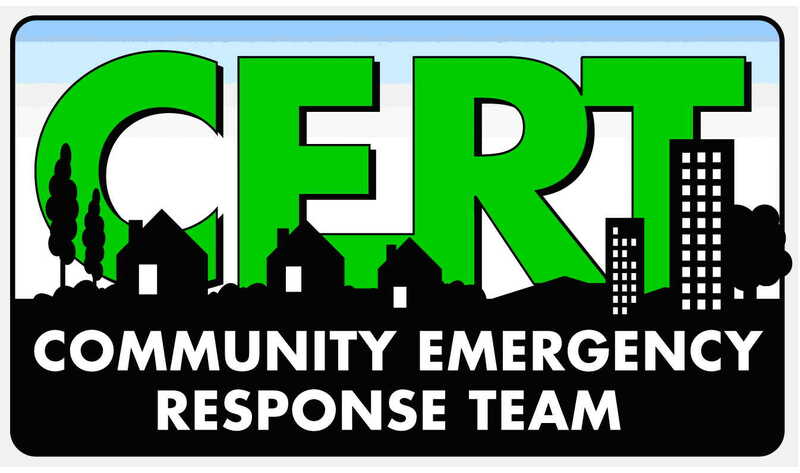 “In [our city in hurricane country], the CERT program is taken very seriously and well supported on a city and county level. I have done the classes twice, once to learn it, once to refresh it. There is a LOT of information presented, and if it is new to you, it will probably take a repetition to make it stick. Most of the info is fairly shallow “overview” but is very wide ranging. I recommend to ANYONE with an interest to take the classes. You don’t have to be Tactical Timmy, most of my classmates were seniors, some with physical limitations, and one wheelchair bound. Unless you are a full time Emergency Management pro who came up thru the ranks of fire, ems, EM, and civil defense, you will learn stuff. In particular, the mass casualty triage module should open some eyes about the level of seriousness involved. Breathing? No — head tilt 2x then MOVE ON. That is a REALLY hard reality for most of the participants. It points up the emphasis on DISASTER response. On the other hand, there is a fairly extensive first aid component too. The Disaster Psych, and NBC/terrorism modules have some graphic imagery and real world examples. Maybe the best module for the unfamiliar is the intro to the Incident Command System. This is the framework that ALL disaster response in the US uses, and fits into the NICS framework. It will give you a framework for MANAGING the response, as well as familiarize you with how your local authority will be organized and managing themselves. BTW there are some intangibles as well. You have the opportunity to meet and get to know some of the EM people in your area. Your official credential might be worth something in some situations. In some situations you might ‘move to the front of the line’, for example, some of our CERT teams volunteered for an exercise running emergency POD or points of distribution in an emergency VACCINE distribution scenario. It doesn’t take much imagination to see how being involved in that could have benefits to you and your family. And lastly, CERT training opens up paths to additional training and participation in MASSEX training events (assuming you aren’t a complete muppet) and opportunities for additional meaningful public service. As my attendings said during training, I agree with above. Did this a long time ago soon after getting out, learned a good bit. They also offer refresher training, which is good. Another good thing is if you’ve just moved–they have localized briefings about natural disasters and such–the Missouri classes covered earthquakes and tornados, but not volcanic eruptions or hurricanes. If you’re new to an area, this can be a good way to jump start your sitrep. I am a member of the local Medical Reserve Corp. The training is very educational and interesting. From what resources are available in the community, how the chain of command works to bring in outside resources, what is available on the local military base, CDC stragic drug stockpiles, reviews of what kinds of incidents our professional first responders have trained for and what risks they are worried about. I just signed up for a advanced disaster life support class(http://www.ndlsf.org/index.php/courses/adls). I feel like it is educational and may help me be better able to assist my community no matter what the need might be. This is my community. Not some us vs them situation. I second suggesting that anyone able get some kind of FEMA training. After Katrina I wondered “why wasn’t more done”. I see this as an easy way to get off the sidelines and get as involved as you want to be. Agree, It is a good “eye-opener” for the untrained layman and serves as a good overview and helps provide a structure for the seasoned professional to build a team that will be interacting with multiple agencies. Having served on teams both pre and post CERT I can see many benefits to it being widely incorporated. The training is good. Further training is available as you progress. Training useful during Sandy and its aftermath. Important is the mindset to able to cope with the disasters and conditions and to keep you and yours from becoming a casualty .the other part is that help can not be everywhere at once….basically you are on your own for a range of days , or longer and you need to prepare via training and supplies. Also, a lot of the training, especially the ICS stuff, is cross-training with your local RACES and ARES (amatur radio — EMCOMM) folks. Especially in hurricane country, they are going to be your one way to get information in and out of the hot-zone. FYI, another reason to be on good terms with them — RACES tries to get as many messages out as we can, but welfare priority messages — “I/We are fine, we can be contacted here” are transmitted as available, with all official traffic going at a higher priority. So, when they only have time to transmit a handful of messages in between priority traffic… you probably want to be in that handful.